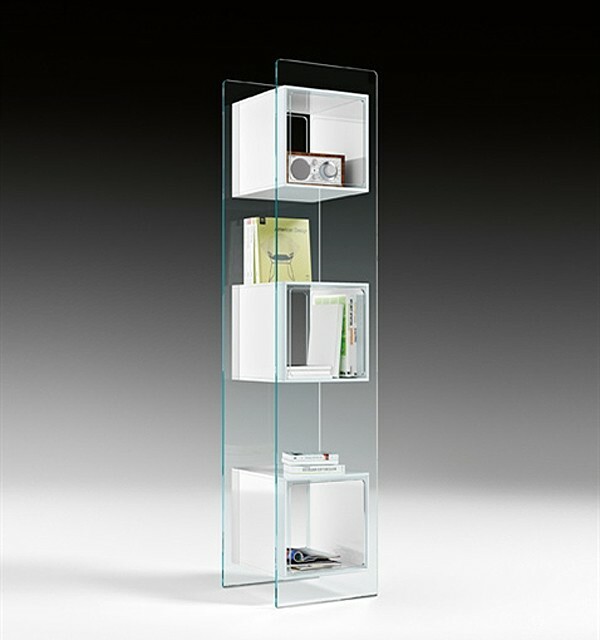 An ultra modern storage cabinet/bookcase made entrely from glass. 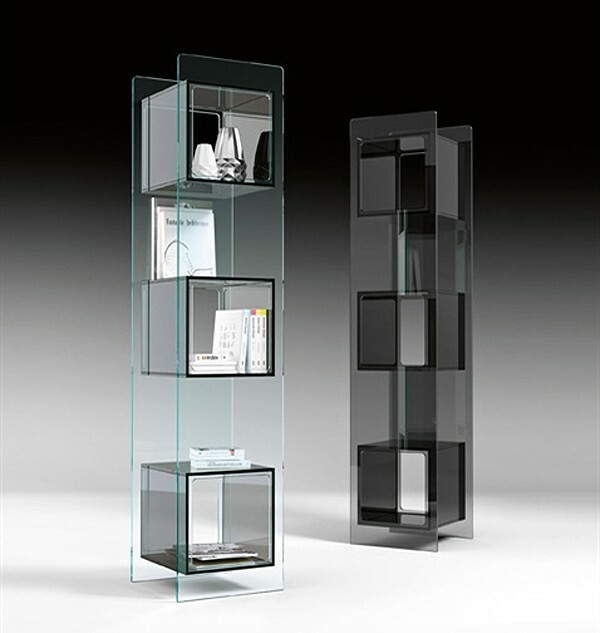 The frame comprises of 2 glass uprights bonded to 3 glass cubes. Items can be stored on top of as well as inside the glass cubes. The maximum load on each shelf is 10kgs (22 lbs).